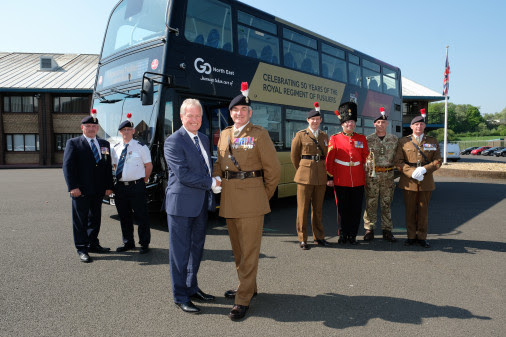 To mark the Royal Regiment of Fusiliers’ 50th anniversary, Go North East has branded a commemorative bus. The Regiment’s anniversary year goes under the title of Fusilier 50 and to commemorate this major milestone there will be a yearlong programme of events taking place throughout the country in its key recruiting areas, including Newcastle. As a bronze partner of the Armed Forces Covenant’s employer recognition scheme with several ex-military personnel within its workforce, including former-Fusiliers, Go North East has branded a vehicle from its fleet, to mark the historic occasion. 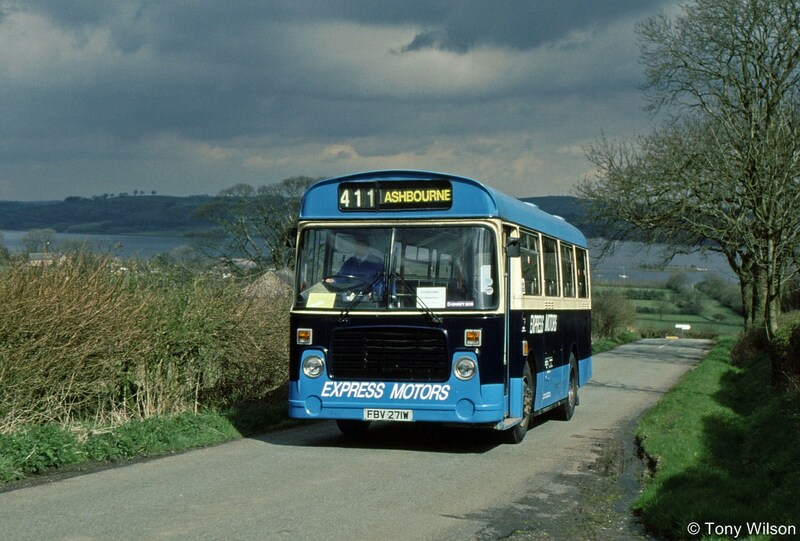 A Volvo B5, double decker bus has been wrapped in the regimental colours of rose and primrose on a striking black background and features the Fusilier 50 logo. In service now, the replacement service can be seen transporting passengers across Tyne and Wear. Kevin Carr, Managing Director of Go North East added: “We take our role in the community very seriously and are always looking at ways to be involved with initiatives which not only have regional importance but that our customers and team members are passionate about too. With a regional workforce of over 2000 local people, Go North East has been successful in actively recruiting new drivers and engineers who held previous roles in the military. Former 1st Battalion Fusilier, Michael Sparkes has been a bus driver at Go North East’s flagship Riverside depot in Gateshead, since 2009. With 23-years served in the Army, joining at 16 and hanging up his boots aged 40, Michael has the British Forces in his blood. He said: “My dad was a Paratrooper, my brother was also in the Fusiliers and now my son is joining the Military Police. Being in the Fusiliers is like having an extended family, there’s always someone for you to help, or someone to support you and that’s what’s also great about working at Go North East. Receiving a Long Service Award from Go North East this year, in recognition of three decades dedicated to the job, bus driver Stephen Lowery joined the company immediately after leaving the 3rdFusiliers in 1987. The Royal Regiment of Fusiliers, known as ‘The Fusiliers’, is an English infantry Regiment in the British Army, formed from four historic Fusilier Regiments in 1968. Since then, the Fusiliers have seen service across the world in Northern Ireland, Cyprus, the Balkans, the 1st and 2nd Gulf Wars and Afghanistan. The Regiment has two battalions – First Fusiliers in Tidworth and Fifth Fusiliers in Newcastle – and both adapt readily to challenging scenarios.